Join us this week as we welcome Country Rock music singer songwriter, Hannah Anders. With an artist like Hannah, you don't become a fan over time, you become a fan in a heartbeat. The powerhouse vocalist can bring an audience to its feet, while making you feel like she’s singing directly to you from the stage. Hannah takes Country from your grandpa’s front porch soundtrack and turns it into your daughter’s backwoods anthem - like putting fresh strings on a vintage guitar and revving a new engine in a classic car. This past year, Hannah clinched the Los Angeles Akademia Award for Best Country/Rock Song with her rip-roaring anthem, Turn It Up. This same song was also nominated by LOZ Radio for Song Of The Year, and held the number one spot through the month of April on Australia’s Power FM Station. Hannah’s songwriting kudos were also recognized by the world famous Dodge Ram Truck Company, who commissioned her to write the theme song for their newest ad campaign in Atlanta, GA. Also, Hannah just released her first full-length album “Good Time” on 9/6/2018. 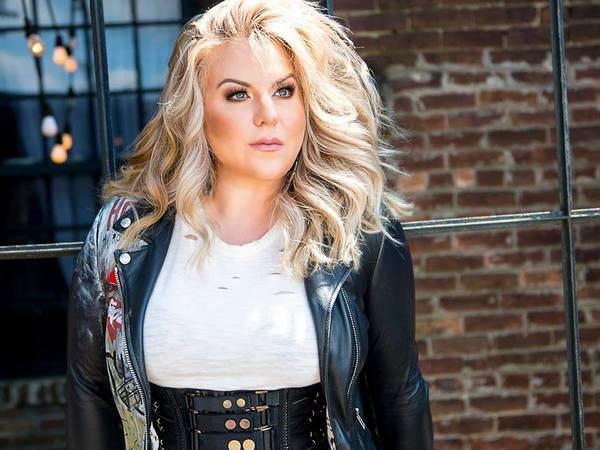 Hannah has conquered crowds from coast to coast and overseas, touring the UK and Ireland as the headliner of the Rednecks and Rhinestones Festival, in addition to sharing stages with the likes of LoCash, Billy Currington, and Keith Anderson. From Summerfest, the World’s Largest Music Festival, to Music City’s CMA Fest, putting on a legendary show has become second nature for Hannah Anders. We will talk to Hannah about her upcoming schedule, get a behind the scenes look at her music, feature her latest songs, and ask her to share her message for the troops. Please be sure to visit Hannah Anders at https://www.hannahanders.com/ and spread the word. As always we will give shout outs to our deployed military listeners. Our message to the troops: WE do what we do, because YOU do what you do.